With the incredible success of FarmVille and Mafia Wars on Facebook in North America, Zynga hasn’t been able to capture the mainland Chinese market due to blocked Facebook access. 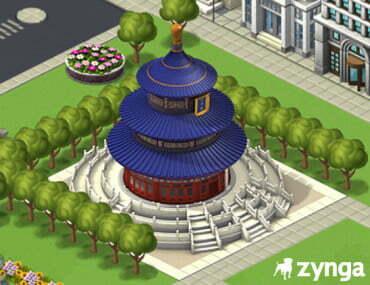 Zynga is redesigning CityVille for the Chinese market and plans to launch the game under the title Zynga City. The game is being retooled by Zynga’s Beijing office which was created in May of last year with the acquisition of XPD Media. Zynga is partnering with Chinese internet provider Tencent and the Pengyou social network which has about 100 million users. It will also be transitioned to another Tencent service called QZone which happens to have 500 million users as well as Weibo, QQ games and Q+. This partnership allows Zynga to become more diverse and less dependent on the success of Facebook for revenue. Zynga has launched social games in Taiwan and Hong Kong, but this is the first attempt at capturing an audience in mainland China. 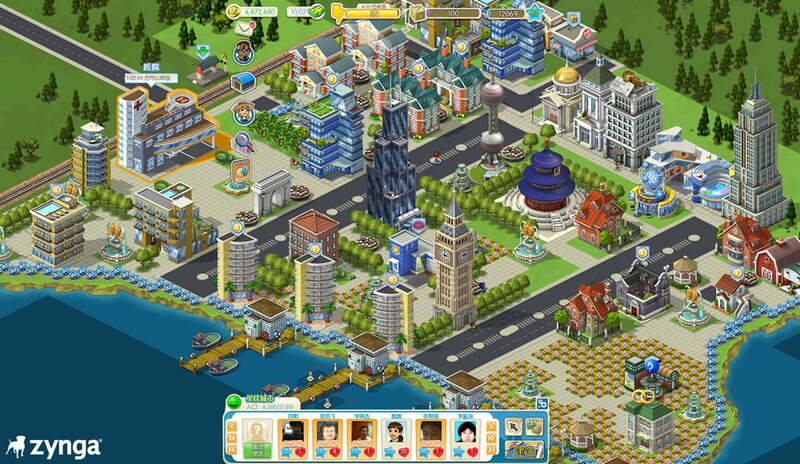 Similar to CityVille, Zynga City allows the user to build homes and businesses. The design of the structures have been changed to reflect traditional Chinese architecture and general decorations like lucky fish fountains or pop culture related items. Zynga is also adding the ability for players to send street peddlers to their friend’s cities as well as in-game events that are tied to Chinese holidays. Also similar to the North American counterpart, Zynga City will rely on the sale of virtual goods to help players advance quickly. Zynga has excelled with this strategy in the U.S. and recent company valuations are often in the range of $10 to $20 billion. Much of Zynga’s catalog is tied into exclusivity agreements with Facebook including FarmVille, Live Poker, Mafia Wars and PetVille. CityVille currently has 80 million players worldwide and has been translated into Italian, French, Portuguese and other languages.